Here’s one of the smallest things to make it into the 150, but one of the sweetest. It’s on the westbound platform at East Ham, high up near the canopy, perpendicular to the tracks. A cultural historian would be able to take a good guess at its age, likewise a scholar of advertising typography. Just when was tea tuppence a bag (tuppence, tuppence, tuppence a bag*)? Not since the war, certainly. There’s been a station at East Ham since 1858, though the ticket hall is Edwardian. My guess is the sign hails from sometime between 1902, when the District line first came this way, and 1936, when the Metropolitan arrived. 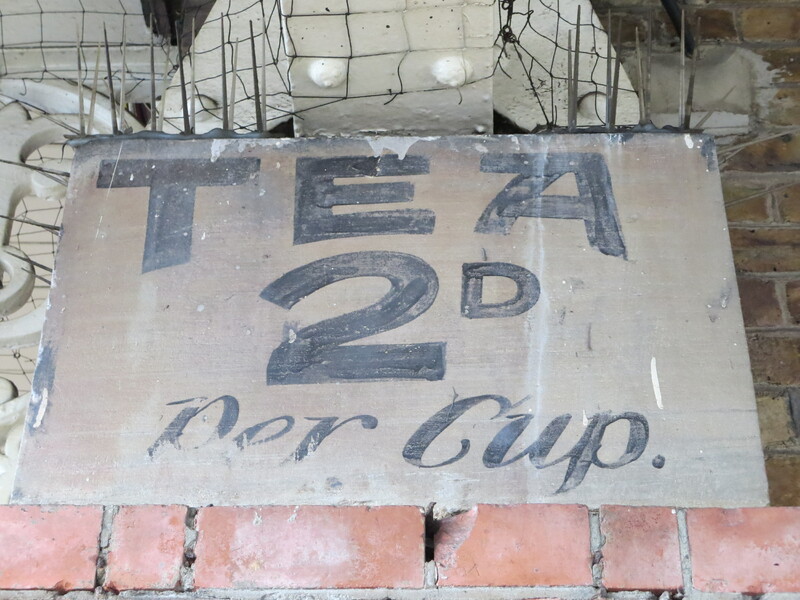 It was painted to promote an adjoining cafe, long since vanished – as has this kind of gorgeous lettering, tea shops in general, and the notion that putting “d” after a number is not a reference to a boy band. Something that can be more accurately dated is the LTSR ironwork to the left of the sign. That’s the London, Tilbury and Southend Railway, by whom the station was built in the 1850s. 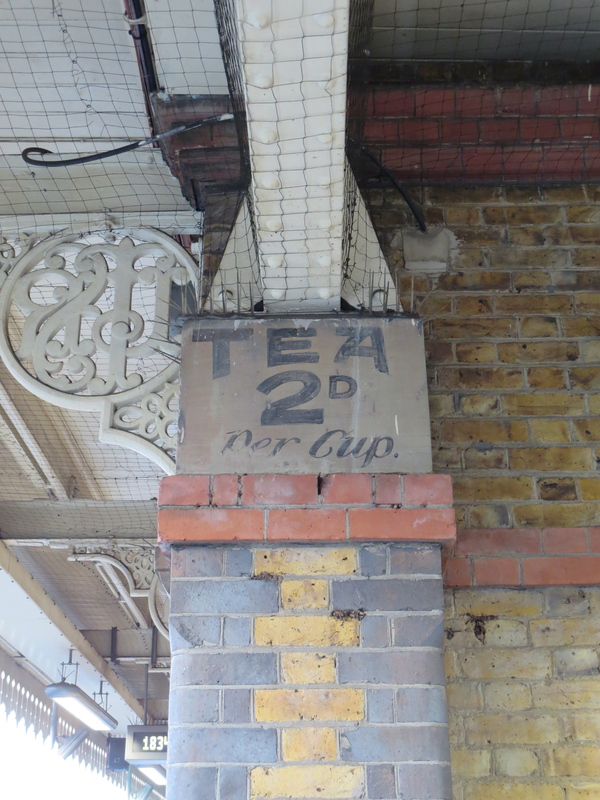 Back then the idea of buying tea from a person on a platform would have been morally scandalous. One had it served to one, thank you very much, and you’ll mind your manners for saying so. Feed the Birds is the saddest song about ANYTHING. I haven’t seen that bit since I was five years old and saw it at the pictures – I fast forward every time. I love this blog but couldn’t agree more with Scottieboy’s comment. I’m all melancholy now.